If I could give you a single piece of advice. This would be it: Live within your means. The long term benefits of living within your means have been proved by economists whereas the rest of my advice has no basis more reliable than my own observations. Buy a modest home. Make a 20% down payment. Get a fixed mortgage loan. Consider refinancing at the same term if rates go lower. Do not take out a second mortgage. Buy good furniture and energy efficient appliances. Only replace them when they break and cannot be repaired. Turn the thermostat down to 68. Turn the lights off when you leave the room, turning the lights off won’t hurt you. Don’t fill the garage with powertools you never use. Drive a modest car. Shop around and pay cash for it. Maintain it well and keep it as long as possible. Marry a good hardworking spouse with the same financial values as yourself. Don’t divorce. Learn to cook. Eating at home will add to your savings rather than your waist line. Stay in shape. You may think you are fine now, but in twenty years those extra thirty pounds will turn into sixty and come back and bite you. Shop at less expensive supermarkets. Make a shopping list before going to the store. Only buy things on the list. Keep your tastes simple. Don’t buy $3 cups of coffee and drink water instead of canned soda. Don’t smoke. Buy clothes on sale and out of season. Don’t follow fashion for the sake of following fashion. Work hard and save 30% of your income. Invest most of it. Don’t trade. Find ways to have fun without spending a ton of money. Think about your choices with money. Every choice you make has consequences. Oh yeah, and wear sunscreen. You should also consider what happens if you don’t wear sunscreen and that you can wear a wide brimmed hat and retire extremely early (after all, sunscreen costs money). Much thanks to E for the donation. 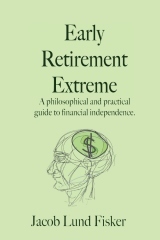 previous post: Not enjoying life in extreme early retirement? 17 users responded in " Wear sunscreen and retire early "
Most of the advice is ok, but you missed it on the sunscreen. Sunscreen is needed only if you burn easily, and have to spend a lot of time outdoors. Even in those cases, it is better to cover with light (and lightly-colored) clothing. You see, the best recent scientific evidence we have shows that exposure to noon-day sun for 15-20 minutes per day over at least 60% of your body produces the optimal amount of vitamin D, which in turn, is the most potent anti-cancer agent ever discovered. Sunlight, short of burning, dramatically reduces cancer rates (all forms, including skin cancer). Sunscreen blocks the wavelengths that the body needs to produce vitamin D, which eliminates the benefits of sunlight almost completely. There are some other tips that will help you retire healthy: Don’t eat things with added sugar. Don’t eat corn or things that have corn as an ingredient (including corn-fed meat). Avoid vegetable oils. Avoid gluten. Eat more fish than other types of meat. And walk a lot. I leave the thermostat at about 78 and its perfect. Why 20% on a down payment? Why pay so much interest? @TXCH what’s wrong with corn-fed meat and vegetable oil? I especially like – ‘Turn the thermostat down to 68’. My wife and I pride ourselves that in the winter we never set the thermostat above 66 degrees. It is amazing how much your body adapts once you get use to it. In my view, day trading will make you think nothing but money which is not fun at all. It’s also bad for your health because of stress will make you sick. Save and live right, but don’t think about making big, fast bucks all the time. This post is one of the best assemblies of information I have seen. Sort of everything under one roof. Living within one’s means is fantastic advice. I like also “Living below one’s means”. It is not too difficult to envision. You bring into your life X dollars. Your cost of living is X dollars. You subtract the cost from the income. If there is a remainder your in tall cotton. If there is a negative balance, your in trouble. After doing the financial drill, you can find out if your income supports your lifestyle. If it does not, you increase your income, or reduce your lifestyle. It is like a balance scale. For best results, it will balance, or tip in your favor, not the world’s favor. You want EVERYTHING to tip in your favor, because you work for yourself in this endeavor and not the world. You are in charge of your own destiny. No one holds a gun on you and forces you to live beyond your means. This post, living within ones means, is one of the best I have seen on this blog since I have been reading it. This post, “Wear Sunscreen and Retire Early” is the “real deal” on financial success. Forget trying to keep up with your brother in law and his big house. The guy is secretly having a nervous breakdown and possible divorce right now. Great advice and amazing advice density. I have a tendency towards verbosity, so I respect how you’ve distilled your advice down so well for this post. Unfortunately, since you’ve given so much advice in such a short post, you may hurt your long-form book sales when the book comes out. TXCHLInstructor said…Don’t eat corn or things that have corn as an ingredient (including corn-fed meat). Avoid vegetable oils. Avoid gluten. Eat more fish than other types of meat. And walk a lot. — What’s wrong with corn? Fashion, how I loathe thee. Why can’t we get to the Star Trek phase of clothing? I do believe in having a family home with some furniture in it. Also a dining table set. Oak is nice. Mattresses are important for your back problems in your old age. The safe in your basement the one with the silver in it. The Mercedes that I have in the drive way will save my life. It has air bags in it. I also got gold bars in my safe. You can dream on when reading this here. Also the money that you get for surgery in your old age. You won’t have any money to pay for it. The safe is funny. Costco has a nice safe. if you need one. your country might not have it. Ouch. What do you? America Express it, no limit. Put your money into a saving account, not into credit cards. Best Regards to everyone. imo, the car advice should be not to buy one unless its at least 4 years old and if you can live with it; not until 9 years old as cars lose 50% of their value in 4 years and about 90% in 9 years. considering a car is typically the biigest purchase of anyone besides a house; repeatedly giving away 50% for a new car scent is extremely stupid. you can find 9 year old cars with 30,000 miles on them, thats almost like buying a new car with all the depreciation taken out. Buy Michelin Tires. I never did have a flat with them. The part about marrying a like-minded person is important. If you choose to be partnered, having a partner with the same goals is critical. Probably the most important piece of advice is to learn the difference between WANTS and NEEDS. I think that much debt comes from confusing the two, or convincing ourselves that we need something, but really we just want it. A friend is constantly in debt and living beyond whatever paycheck she earns due to this.